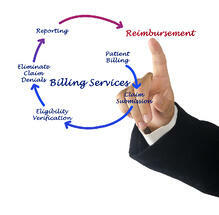 Begin the process of collecting information by asking for a copy of new insurance information from the patient. It's a good idea to ask for a copy of the card even if the patient states that insurance hasn't changed. An updated image of both sides of the insurance card in your electronic health record provides informational backup in case someone mistyped insurance information into the record. Medical billers should double check ID numbers against cards before sending claims. Don't take information on cards at face value. Even a few weeks after a card is issued, insurance coverage may have changed or been discontinued. Contact the insurance company directly to ensure eligibility. Place a phone call using the provider hotline provided by the payer or use your integrated EMR and Billing System to ping larger payers such as Medicaid, Medicare, or Blue Cross for eligibility data. When you can set up electronic eligibility systems for payers, this is the most efficient option. You may be able to import data directly into electronic medical record systems, making the process even faster and avoiding possible data-entry errors. Train office staff to take extra care when transcribing information into the patient record. The information builds the foundation of the medical claim, and a single transposed number can mean the difference between a clean claim and a denial. Rushing through insurance verification practices and making data errors may cause days or weeks of delay on payments, or the claim could go completely unpaid, which is bad for any medical practice. If there are any questions or concerns, follow up with the patient about insurance information. Using a patient portal to inform patients of eligibility through email or online communication is efficient, but office staff can also phone the patient to let them know about copays or other issues. Informing the patient as early as possible about out-of-pocket expenses increases the chance you'll collect those funds. For information about setting up connectivity with clearinghouses to verify eligibility from your integrated EMR and medical billing software, contact Revenue XL. How will ICD-10 impact Physician Offices? Why is Days in AR important for any Medical Office? 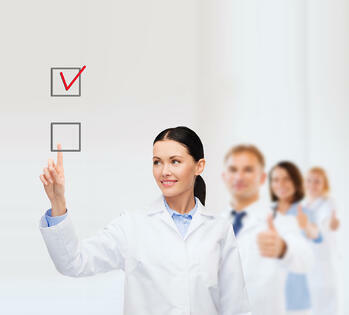 What are the top 5 KPIs any small medical practice can not ignore?